Christmas came early this year for Amazon Web Services (AWS). On December 18th, Amazon announced on their blog that AWS IoT is now generally available. 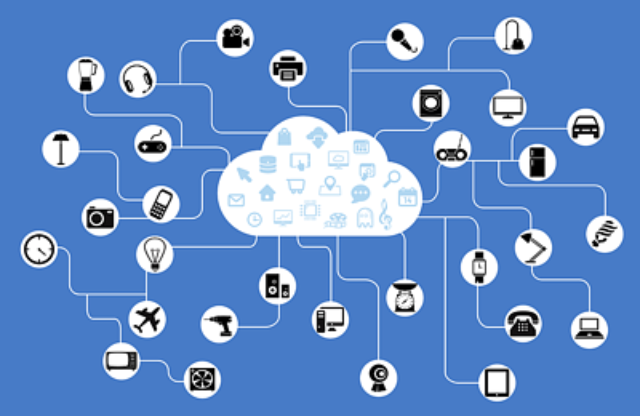 The Internet of Things, known as IoT, is a term for smart devices that are connected to other devices via an internet or network connection. Smoke detectors that connect to your smartphone are examples of devices that are a part of the Internet of Things. These days there are multiple devices that connect to the internet including coffee makers, refrigerators, cars, light bulbs, and even entire heating and cooling systems can all be connected and controlled by computer applications. Launched as a beta offering in October, AWS IoT was developed as a managed cloud platform that lets connected devices easily and securely interaction with not only other devices but applications hosted in the cloud. Now with its general availability, thousands of businesses can build applications and develop new business offerings based on the Internet of Things. There are multiple challenges with connecting devices to the cloud. Each device has its own software requirements and software development kits (SDKs) that are required to securely connect devices to the cloud. Another challenge is that many devices only need to connect to the internet at certain times rather than maintaining a continuous network connection. One of the biggest obstacles with developing cloud platforms that work with IoT is how to collect, process, and manage the amount of data that is collected and transmitted from connected devices. For some businesses the business intelligence that comes from devices can provide enormous insight and help to shape business offerings and processes. AWS IoT was developed with many of these challenges in mind. Along with the move from beta status to general availability, Amazon also announced mobile support for IoT through Apple’s iOS with AWS Mobile SDK for iOS. While Amazon Web Services has mobile SDKs for iOS, Android, Unity, and their own operating system Fire, the only mobile SDK offering that supports the internet of things is AWS Mobile SDK for iOS. Although, according to the AWS blog, Android support for IoT is currently in the works and will be released soon. AWS for IoT is easily adaptable for businesses in multiple verticals. First and foremost, IoT support is achieved through the highly scalable and customizable Amazon cloud. This means that connected devices can seamlessly integrate with already existing applications running in the cloud. AWS IoT also features a SQL-like interface for programing and simple communication protocols which make it easy to configure and connect devices to the cloud. Even if your company doesn’t necessarily need support across multiple devices, there are certain applications that most businesses can benefit from. You can connect the coffee maker in the break room to the internet to continuously monitor when it needs refilling and maintenance. Or you can connect your HVAC system to the cloud to identify trends to see if certain zones in the office require more heating or cooling than others – which can help make your HVAC system more efficient (and possibly even cost effective). There are many “things” that can be connected to the internet of things – just take your pick!